This entry was posted in Mingoville and tagged 1. 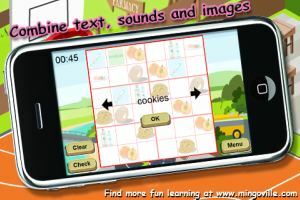 Mingoville Virtual World Games, English for kids, ESL, fun educational games, iPhone app, iphone game, Learn English by . Bookmark the permalink. When I recently discovered your site and started following along, I was thinking I’d post my first comment. I don’t know just what to say except that I genuinely liked reading through. Good writings. I’ll carry on visiting this website a lot more frequently.